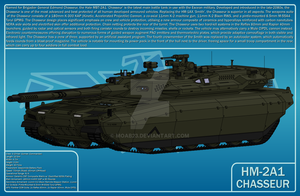 Looks like a Merkava on steroids. Nice sloping of armor. The turret will have an autoloader at the very least, maybe unmanned with RCWS. I am wondering about the many small roadwheels, they will not give the best ride.. Technically, as a drawing, very nice.